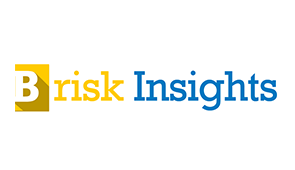 Brisk Insights has announced the addition of "Food Emulsifier Market - Global Industry Application Analysis, Regional Outlook, Market Growth, Trends, Key Players, Competitive Strategies and Forecasts " Market Research Report to their Database. According to a recently published report, the Global Food Emulsifier Market is expected to grow at the CAGR of 5.5% during 2015-2022 and it estimated to be $ 3.5 billion by 2022. The global food emulsifier market is segmented on the basis of type, industry applications and geography. The report on global food emulsifier market forecast 2015-2022 provides detailed overview and predictive analysis of the market. In advancement of processed food industry the food emulsifier market is growing globally. The increase in demand from various industries such as dairy and meat product, bakery, convenience foods and confectionery are key driving factor for global food emulsifier market. In global food emulsifier market food additives market is the fastest growing market since the fat content reduction in food product trend is increasing rapidly. Emulsifier are primarily used for providing stability and texture. In food emulsifier market package food manufacturers have witnessed high growth over the forecasted period. Advanced technologies and new product innovation fuels the market growth of food emulsifier market globally. The emulsifiers market is largely driven by mono-, di-glycerides & derivatives, lecithin, stearoyl lactylates, polyglycerol esters (PGE), and other emulsifiers such as polyglycerol poly-ricinoleate (PGPR), and many other synthetic as well as natural emulsifiers are expected to gain momentum in the near future. The food emulsifiers market is segmented on the basis of key type, application, source, brand, and regions. The food emulsifiers industry is restrained by strict food labeling legislations and competitive substitutes such as enzymes and hydrocolloids. Rise in consumer spending on processed food & beverage products is estimated to be the key driving factor for the food emulsifiers market. The major players profiled in the report include Danisco, Cargill Inc, Palsgaard, Dupont, Archer Daniels Midland, Ingredion Inc, Stepan Company, Kerry Group, Royal DSM, Riken Vitamin, Lonza Group, Estelle Chemicals, Puratos And so on. Innovation and R&D are the key winning strategy of the market.